As we wake to a new day, our Christian brothers and sisters in places like Iraq, Syria, Iran, and elsewhere in the Middle East are living in fear and terror, their very lives being threatened. As we see the events unfolding in Iraq as ISIS marches across the nation, pillaging and slaughtering at will, we think back to the last presidential election, when we were led to believe that Al-Qaeda was all but destroyed. We now face an enemy that, although affiliated with Al-Qaeda, was apparently “kicked-out” because Al-Qaeda considered them “too radical”. Scarier still is the fact that, while the Taliban has an operating budget of approximately $70 million, and Al-Qaeda had a budget (prior to 9-11) of about $30 million, some estimates put the ISIS bankroll at approximately $500 million. Some would even say that the ISIS army has grown to a size larger than the armies of some legitimate countries. A Pew Research poll in 2013 found that over 75% of Americans claim to be Christians, while only an estimated 0.6% claim to be Muslim. If this is the case, why is the Christian voice not being heard? Why are Christians constantly being mis-characterized, turned into caricatures, and ignored? Why are our leaders marginalizing the plight of Christians in the world, and acting (if at all) too little, too late? 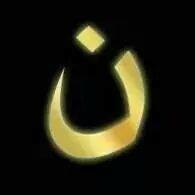 As you read this, approximately 300,000 Christians in Iraq are fleeing for their lives. As you enjoy your morning coffee, American Pastor Saeed Abedini still sits in an Iranian jail cell. While liberals will invoke “the children” to pass everything from gun control to healthcare to global warming legislation, what about Pastor Abedini’s children? Will their recent video appeal to our President go unanswered? What about the children in Iraq, who are being beheaded by this barbaric horde that is razing Iraq at this very moment? As I said last week, our leadership in Washington D.C. cannot sit idly by and allow this persecution, genocide, and chaos to continue. I am asking all of my friends who follow this blog to help me spread the word. It is time for our nation to rise up and demand that our leaders stop sitting on their hands and start doing more to protect our Middle Eastern brothers and sisters in Christ who are trapped by these barbaric terrorist groups and regimes. 1) Pray. Pray for the supernatural safety and protection of our Christian family throughout these troubled places in the world. 2) Share. Help us spread the word by sharing this blog post with your friends and family. Encourage them to do the same. 3) Speak up. Let your voice be heard. It is time to hold our leaders accountable for both their actions as well as their inaction. Contact our leaders, and let them know you expect more from them. Below is a number of ways you can make your voice heard. Please consider calling or emailing President Obama and/or your members of Congress, and demand that the United States do more in this crisis. It is time for the Body of Christ to come together in unity, and stand firmly against the forces of darkness that threaten our nation and our world. It is time for the light of Jesus to shine brightly… unwavering and unapologetic.